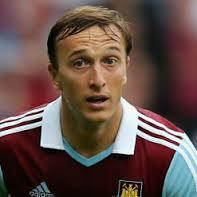 Local boys Mark Noble and James Tomkins signed deals worth less than the personal terms reported in the general media. Sam’s a busted flush – call the cab Daves! I’ve been attacked many times on forums as a Sam hater! In fact I hate nobody – far too strong a word. Stunned Sam Allardyce had one or two excuses for the shocking defeat at the hands of Palace. We have come to a place where we simply don’t know which West Ham are going to turn up from week to week! Sam Allardyce has called on Roy Hodgson needs to take a look at James Tomkins. Alan Pardew has declared that Sam Allardyce’s contract situation is very much a two way street. Sakho: Why Palace game is special for me! Diafra Sakho has quickly learned the excitement of London derbies but tomorrow’s game against Palace is especially important to him.